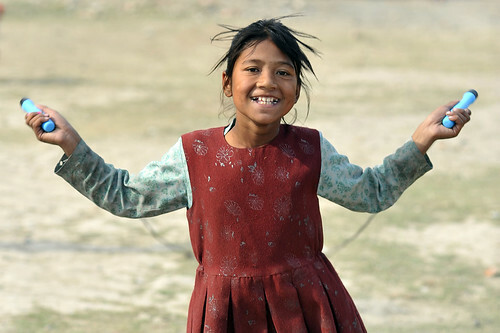 We place our volunteers at a number of children’s homes and orphanages throughout the Kathmandu valley. You will live at the home full-time for the duration of the project, truly immersing them in the day-to-day life of a Nepal orphanage. The life of a child care volunteer is often a demanding one and it can be “go, go, go” from dusk to dawn. Responsibilities vary from home to home and often involve simply interacting and playing with the kids. Many homes will be empty during school hours, though there will often be sick children to care for. After school hours, the children will need to be fed and helped with their homework, followed by games, songs and other activities to keep them stimulated until bedtime. The tasks at children’s homes and orphanages tend to be many and varied. As well as interacting and playing with the children, volunteers may help teach them about hygiene, help with medical visits and basic treatments, or mend their clothes. In a nutshell, the volunteer’s role is to act as a big brother or sister by helping, advising and caring for the children in any way possible. Make no mistake, this is one of our toughest volunteer projects. It can be physically and emotionally draining. That said, it is also one of our most popular and past volunteers consistently rate it as one of the best experience of their lives. The difference our Nepal volunteers make to the lives of these children almost defies description. Through interaction, education and care, volunteers enrich the lives of children who have had the toughest possible start in life. It is worth noting that not all children at these homes are orphans, many have been abandoned and others “have been given over to brokers” by their families. Everything that can be done to help these children now will reap huge rewards in years to come. When you arrive in Nepal, you will be picked up at the airport and dropped to our Kathmandu HQ where most volunteers stay for 2 days of volunteer induction. You will stay at the orphanage once your project begins. Volunteers normally work 6 days a week with 1 day off. This is one of our demanding projects, involving early starts and evening finishes. In the mornings you will need to be up early to ensure the children get a good breakfast before you get them ready for school. Once you have walked them to school you can spend your time helping ‘DIDIs’ (orphanage staff) tidy the children’s rooms and prepare food. Alternatively, you can help out at the school by helping children with their English. The minimum age requirement for this project is 18. No specific qualifications or experience are needed to participate, this is a role where qualities such as motivation, enthusiasm, patience and kindness come to the fore. Flexibility is also key, as you can never know what each new day will bring. After all, that’s what makes this project so special. *All volunteers are required to have a criminal record check for this project. Participation in the Children’s Home Volunteer Project starts at $799 for two weeks, with each additional week is $99. Airport pick up and drop off, FFA accident insurance, accommodation during orientation and entire project time, 2 day orientation, 10 hours of basic Nepalese language lessons, all meals during project placement, 24/7 assistance support. Plane tickets, international medical insurance, cost of transportation to and from work location. The 1st and 15th of every month are the start / arrival dates for this program. An orientation is provided in the days after arrival, and prior to actual start in one’s service program.